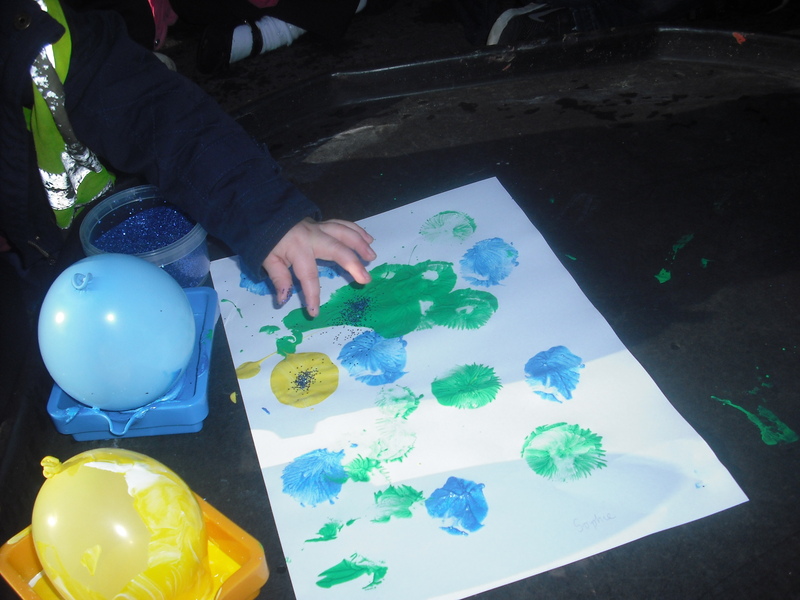 For Bonfire Night we made balloon drop firework pictures. 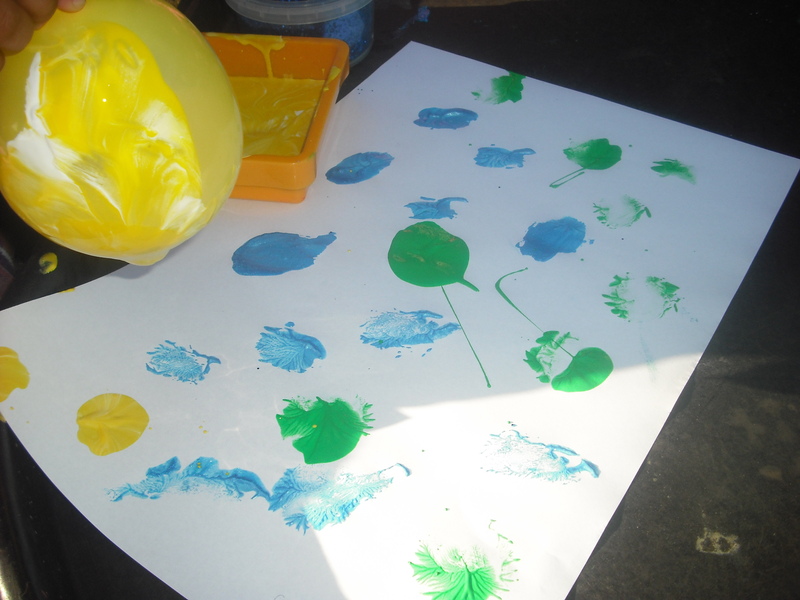 First we blew up balloons then dipped them in paint. 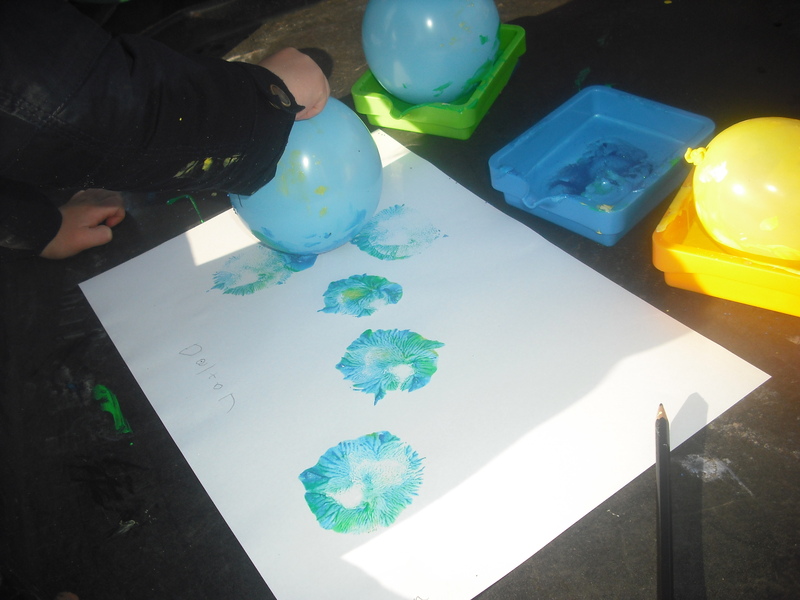 Next we pressed the balloons onto the paper to make a firework shape. We thought about the different colours we wanted for our fireworks. 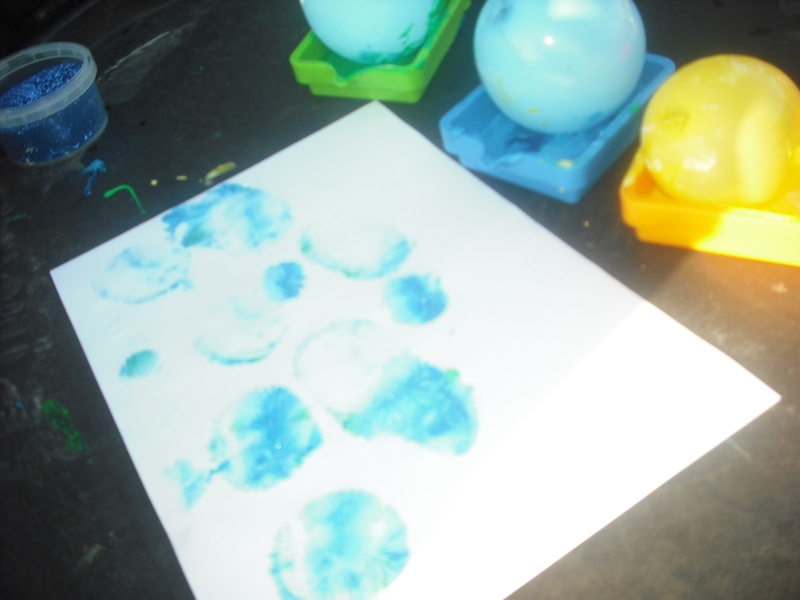 Finally we pinched glitter and sprinkled it onto our picture.